Last night, Jamie Moyer made his mark in baseball history when he became the oldest pitcher to win a game in the Majors! A well-deserved win! CONGRATULATIONS! Click on the link to get the full story! 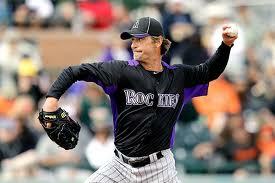 Jamie Moyer and the Moyer Foundation show all of us how to push past the adversity in life and shine! Way to go!